Illuminate Church was a dream that started in the heart of Brandon May while he was living in central Florida. Brandon and Brittany surrendered to go wherever God would lead and they sold everything they had and began trusting God for direction. Being an Augusta native, God led him along with his wife, Brittany and daughter, Reagan back to the Augusta area in 2014 to begin reaching his friends one life at a time. In the spring of 2014, 9 people gathered in a living room to talk about Jesus and how He applies to today’s culture. We continued to meet for several months until one day, Pastor Brandon mentioned the idea of becoming a church. We immediately began to plan ways for us to get the word out to our friends. An interest meeting was called where we invited all of our friends to attend and hear the vision of a new church that would guide people out of darkness and into the light of Jesus. 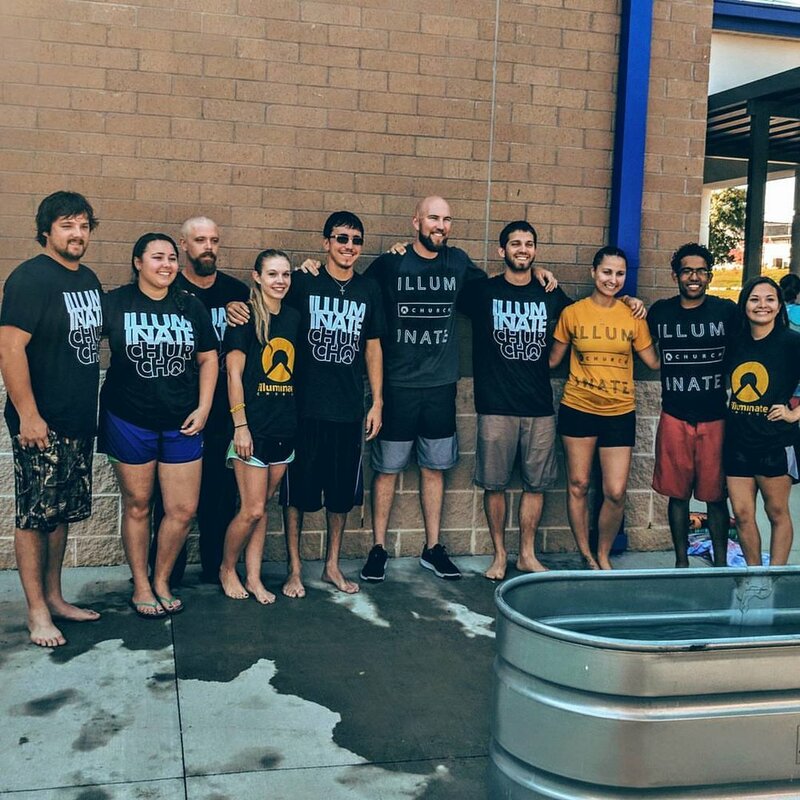 The name of the church would be called “Illuminate Church.” We didn’t know how God would do it but by the end of that meeting, we all knew that we were called to reach people one life at a time and guide them into a growing relationship with Jesus. The very next week at our bible study, 25 people showed up to lock arms with one another and devoted themselves to become the light of Christ through a new church, Illuminate Church. We met for 6 months and prepared to launch a worship service at Westside High School. With little money and just a handful of people, it wasn’t easy to find a location to meet publicly but by God’s grace, Westside High School agreed to leasing terms with our church. On March 1st, 2015 Illuminate Church began holding services at Westside High School. With the commitment to reaching and discipling one life at a time, we have seen unchurched friends, co-workers and family members begin a new life with Jesus. Dozens have been saved and baptized through this ministry. In January of 2017, our church began praying for a permanent location. God is faithful in his leading and has led us to Ingleside Dr in Augusta, GA. We launched our first service at 2801 Ingleside Dr on September 10th, 2017.